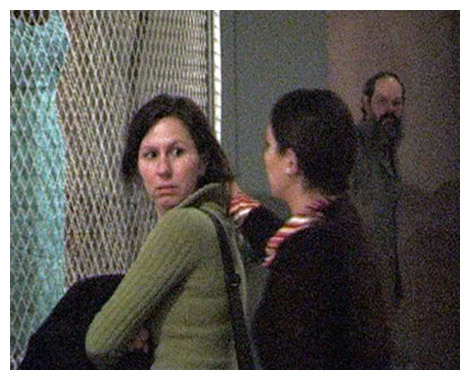 Stefanie Trojan is walking unobtrusively through the exhibition 'Louise Bourgeois' at Kunsthalle Bielefeld 2006. Sometimes she caress individual visitors backlit over the cheeks. She does not speak.